The Catylist Broadcast Email System is Getting a Face Lift! Please click on the link below for a short 8 minute video that runs you through the new process. 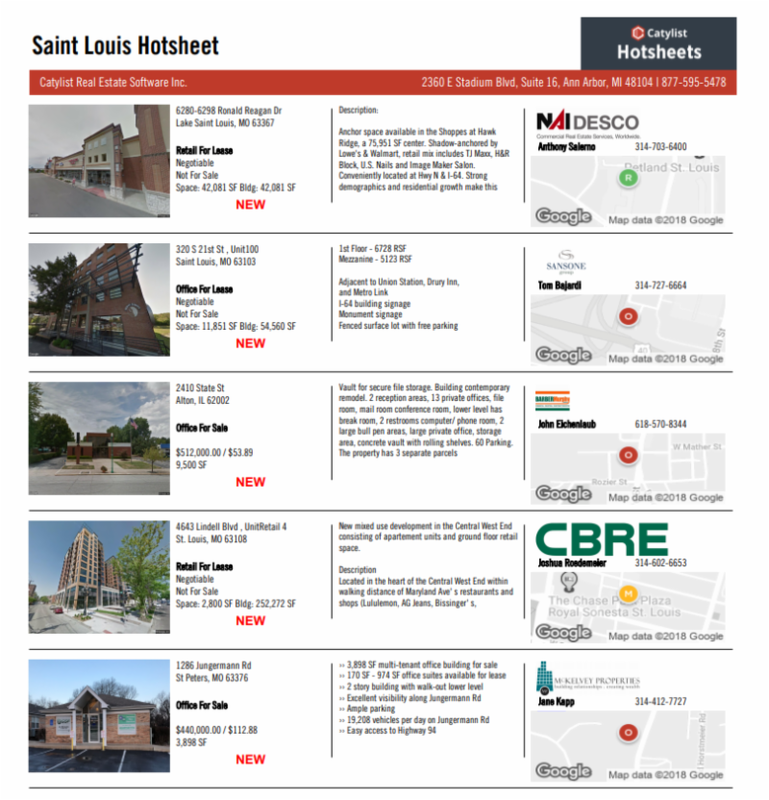 The STLCDS Property Listing Portal currently has over 6,600 listings and leases. Control the destiny of your bottom line by contributing complete, timely and accurate data to the market. When the entire community participates, EVERYONE wins. Catylist offers complimentary access to all administrative support staff! Submission of property listings and leases is FREE - no commitment necessary! Enter your listings today! Click here to view the August 28 issue.